Was Planned Parenthood's president deceptive on adoption referrals? Was Planned Parenthood’s president deceptive on adoption referrals? 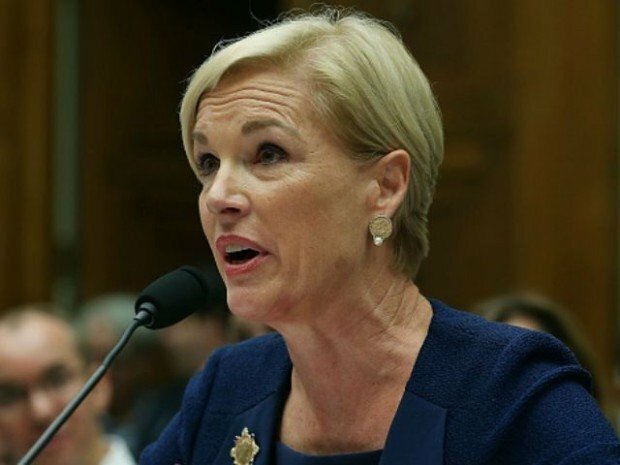 Planned Parenthood president Cecile Richards, who has lied about the organization’s services in the past, may have done it again with regard to the organization’s adoption services in Iowa. Planned Parenthood supporters claim the organization provides vital health care services other than abortion in an effort to justify funding, however Planned Parenthood has been caught misleading the public about those services. Once the lie is out there, it is difficult to retract and the American public falls victim to the deception. Perhaps this was the motivation behind a statement made by Richards during an appearance on The Joy Behar Show where the CEO claimed that if the organization were to be defunded, millions of women would lose health care access to “basic family planning, you know, mammograms.” Live Action debunked that lie, proving that Planned Parenthood does not perform mammograms. In addition, Live Action recently exposed the false narrative that Planned Parenthood provides prenatal services. In a revealing project recently released, Live Action called several Planned Parenthood centers to inquire about prenatal care and the use of ultrasounds for pregnant women who wanted to keep their baby. With few exceptions, Live Action’s undercover investigators were told by clinic staff that prenatal care was not provided, and ultrasounds at Planned Parenthood were not available to women who did not want an abortion. As a result of this investigation, Live Action News has discovered that Planned Parenthood has begun purging the term from bold text in many of their sites. Well, I think the real challenge here is abortion is a very personal issue here for folks and we work here at Planned Parenthood to make sure that every woman has all the information she needs, and access to health care. But what we’ve seen over and over and including here in the State of Iowa, is that people really believe that women should be able to make their own decisions about their pregnancies. Whether that is to – have a child, whether that is to give a child up for adoption, actually we do a record number of adoption referrals here in Iowa, or to terminate the pregnancy. Those are decisions that are best made by women and not by politicians. To investigate Richard’s claim that the organization does a lot of adoption referrals in Iowa, we need to explain that for Planned Parenthood, adoption (counted as an actual “service” in their annual report) is really a simple referral for an adoption. Prior to 2005, adoption referrals were not even counted in with Planned Parenthood’s overall services. By adding this to the services totals, Planned Parenthood can further dilute the real purpose for their existence: abortion. Nationally, the organization’s adoption referrals have fallen from an all time high of 11,866 in 1994 to just 2,024 in 2014. Interestingly, as abortions and government funding increased, adoption referrals decreased. In 1994, Planned Parenthood received $163.1 million in federal dollars and performed 133,289 abortions. By 2014, federal funding had increased to $553.7 million and abortions to 323,999, reflecting 34.9 percent of the nation’s abortions overall. Planned Parenthood of the Heartland oversees centers in Arkansas, Iowa, Nebraska and eastern Oklahoma. A review of the annual reports which Live Action News was able to obtain showed that, even though the national office records affiliate’s adoption referrals, the Iowa centers did not use the term “adoption referral” at all. What they do mention is “adoption placements” totaling less than a dozen or sometimes none, depending on the year. In 2007, Planned Parenthood of the Heartland (then known as Planned Parenthood Greater Iowa) boasted about having a partnership with a local adoption agency, and claimed they counseled 42 women for adoption. Out of that number, just four women placed their babies for adoption. In comparison, Planned Parenthood of the Heartland performed 4,397 abortions that same year. In 2009, the Iowa Planned Parenthood affiliate recorded just three adoption placements, a drop of 25 percent from 2007. Abortions, on the other hand, increased by eight percent to 4,792. In 2010, adoptions at Iowa Planned Parenthoods rose to seven. Sadly, abortions were also on the rise, and the affiliate recorded 5,685 abortions that year. The Planned Parenthood report from 2010 reads as if they were congratulating themselves on the fact that, while they aborted thousands of preborn babies, they helped only seven women choose adoption. But, that congratulatory move was short lived because, in 2012 only four adoption placements had been recorded. And although Planned Parenthood of the Heartland recorded 22,885 pregnancy tests, they tragically aborted 5,832 preborn children. In 2013 adoption placements weren’t even mentioned in the Planned Parenthood report. As for abortions, they went up eight percent from the previous year to 6,367. In 2014, those alleged “record number of adoption referrals” were still elusive, and were again not even mentioned in Planned Parenthood’s report. What was mentioned was that they performed 5,970 abortions. In 2015 the alleged record number of adoption referrals done in Iowa was not reported. Planned Parenthood recorded performing 5,269 abortions while there was no mention of adoption referrals. It is unclear where Richards is getting her information on this allegedly large number of adoption referrals in Iowa. Since the national office records adoption referrals, Planned Parenthood in Iowa should have recorded them as well. And, one could argue that, in the years that adoption placements were recorded, a much larger amount of adoption referrals could have been probable, but state numbers couldn’t have been that large when you consider that all combined there were only 2,024 adoption referrals recorded in Planned Parenthood’s 2014-2015 annual report across approximately 661 Planned Parenthood centers. But, what is clear is that out of the reports that Live Action news was able to track down (2007, 2009, 2010, 2013, 2014, and 2015), Planned Parenthood in Iowa recorded only 21 adoption placements compared to 38,312 abortions. And since 2016 numbers have not been published we can look to 2015 where adoption isn’t even mentioned in their report. What was mentioned was that the affiliate recorded net assets of $17,897,568 after receiving $3,094,449 in government grants. In 2015, the affiliate also sent their mothership, Planned Parenthood Federation of America (PPFA), which pays their directors huge salaries, $384,799 in dues. Now isn’t money what it’s all about anyway?